I got home tonight from my 2 day trip and wanted to get a little time in the Hangar. I worked all the pieces of the brackets on the scotch-brite wheel to remove all the tooling marks. I’m not going to prime these since they will be eventually painted by the painter and they won’t like my rattle can primer. I, however, will prime the surfaces that will be touching other pieces to help with corrosion. 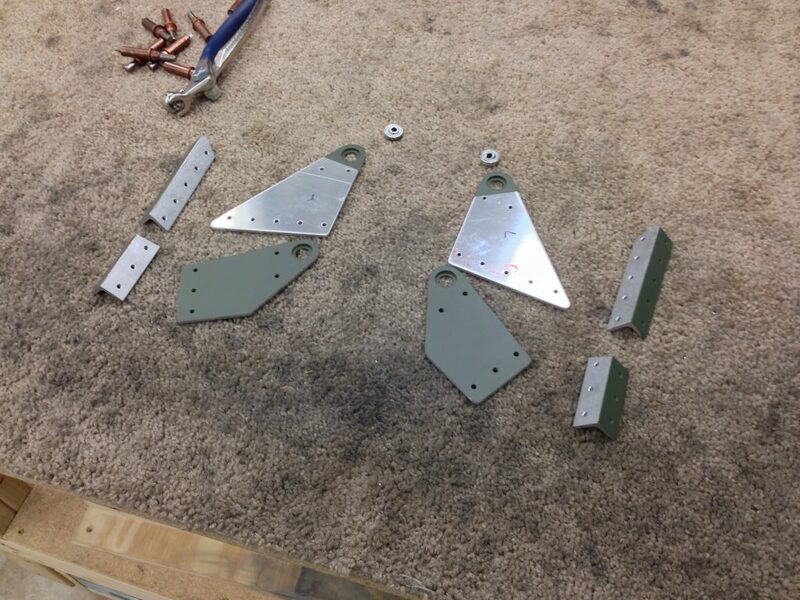 I will get to riveting these tomorrow.